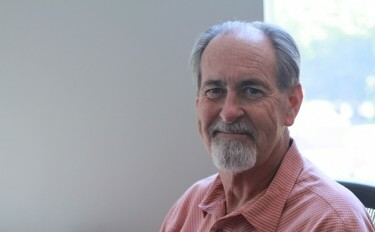 A man who is the consummate teacher is retiring from Grand Canyon University. The incoming freshmen don’t know what they’ll be missing. Dr. Michael Baird isn’t just the longest-tenured employee at GCU (36 years). He isn’t just a scholar, a beacon of light and of high standards in the College of Theology. He is much more than a link to GCU’s past — he has helped many freshmen find the right link to their future with the way he has taught his Biblical classes. A retirement party is planned for Baird from 2-4 p.m. Friday in the Prayer Chapel on the southeast side of the CAS Building. Baird, 65, was born at Good Samaritan Hospital (“Back when there was only one hospital in town”) and grew up in Glendale. When he graduated from GCU in 1971, he thought he was best equipped to become a pastor. But after getting master’s and doctoral degrees from Southwestern Baptist Theological Seminary in Fort Worth, Texas, he came back to the University and was hired as the dean of students. He didn’t join what was then the Department of Religion until the following school year, and he knew he had found his niche. In Baird’s early years at the University, his mentors were Dr. J. Niles Puckett, the founding professor of the department in 1949 who had been his Greek and Bible teacher when he was a student, and Dr. D.C. Martin, the department chair. Baird said he was taken aback when Puckett told him, ‘Don’t call me Dr. Puckett, call me Niles,’ and he considers Martin his primary mentor and has tried to pass along the spirit of both men. Baird and Dr. Clark Youngblood, who retired in 2013 after 31 years at GCU, were a solid 1-2 punch in the college and have been great friends over the years, going to lunch every week and inviting other faculty members to join them. One of those alumni, Samson Dunn, made it a point to mention his gratitude to Baird when he spoke at Chapel in March. And Baird also got his due Thursday morning when President/CEO Brian Mueller began the all-faculty meeting in GCU Arena by publicly thanking him for his many years of dedication. It turned into a standing ovation. GCU has been a family affair for Baird. His wife, Martha, also is a GCU grad, and two of their three children are alumni. So are his sister and all three of his brothers. “The Baird family has been a big part of Grand Canyon,” he said. The head of the Baird family will continue to be part of it for at least a while longer. He won’t officially retire until August and still has more curriculum to write before then. He also might continue to teach, but not in a classroom — he and Martha like to camp, and Baird thinks nothing of plugging in at a campground and going to work. So even camping comes in second place to teaching. This isn’t just the consummate teacher, it’s someone consumed by teaching. It has gone both ways. Just ask all those freshmen who found their way thanks to Dr. Michael Baird. When I attended GCC from 1980 to 1983, Mike Baird was a fairly new professor. Dr. Baird was approachable, and many freshmen, including me, were able to talk with him about our academic difficulties. I was in charge of security and the campus post office and was carrying a heavy academic load of 20-plus credit hours each semester. When I needed to talk with someone, he was always available. Many thanks to Dr. Baird for being a friend and mentor. Many thanks to Dr. Michael Baird for a terrific grounding in Greek and Christian doctrines … even if he did ding me for being a sacramentalist on my theology of baptism. The independent study he did with three of us on spiritual practices might have been the most life-changing course of all of my years of study. Dr. Baird, blessings in your future endeavors and thank you for a life of service to students in Jesus’ name. As a 1984 graduate, I know Dr. Baird to be a man of integrity who taught solid doctrinal truths. I could not be more grateful for learning the Bible from a factual, historical and fundamental standpoint … life changing! Today one of our legends retired from teaching after 36 years of service. Please go to our COT blog and leave Dr. Baird a comment to remind him of how he touched your life and made a difference in your vocational or ministerial journey. Show him some love! Congrats, Dr. Baird. Many fond memories of you from GCU. A scholar, gentleman and actor. Fair winds and following seas, Dr. Baird. I knew Mike when he was in high school. He was the one who had the guts to walk down from the choir loft at an old fashion revival meeting and come to the back row of the auditorium and one by one tell my friends in the row that he would walk to the front with them so they could accept the Lord Jesus Christ as their Savior. I took him up on his life changing offer. Mike was there for me throughout my early years of being a christian. What a dynamo for Christ! I am forever grateful!